Volunteers, activists criticize OAS’ treatment of dogs, including an uptick in kill rates, but shelter administrators and partners deflect criticisms, say OAS is much improved. A mural outside of Oakland Animal Services. Last year, three-year-old pit bull mix Kai languished at Oakland Animal Services for going on five months. He was recovering from severe burns and suffering from "kennel stress" — a condition brought on by long periods of confinement — and was slated to be euthanized, according to former OAS volunteer Marsha Converse. She’d heard about the dog’s predicament the day before he was scheduled to be put down, and decided to take him home as a foster. “After 72 hours, Kai was doing exceptionally better and he found a home within ten days of being fostered,” Converse said. Kai was one of several adoptable dogs at OAS scheduled for euthanasia cited in a December 2016 letter from 21 shelter volunteers to its director, Rebecca Katz. Now, members of this coalition, which includes nonprofit animal-rescue group People Animals Love Support East Bay, or PALS, say that Oakland’s shelter has backslid on progress made to decrease its euthanasia rate — which recently increased, according to public records reviewed by the Express. These experienced volunteers and activists also take issue with the shelter's treatment of canines, its behavior evaluations, and its foster program, and question why kennels appear to be empty and fewer adoptable dogs are listed on OAS’ website. “I’m quite sure that dogs are dying unnecessarily,” one volunteer told the Express. Katz and other OAS staffers deny that dogs are being needlessly killed, and refute many of the criticisms. While they concede that OAS may not be perfect, they argue it has come a long way in just a few years. “The assumption when people see empty kennels is that we’re euthanizing more, and that’s inaccurate,” Katz explained. Leaders of other East Bay animal groups also noted that PALS and OAS have fought for years, and that this is just the latest beef — but one that is stirring up more drama than usual. As the Express previously reported, when the Oakland Police Department ran OAS, it was notorious for killing adoptable dogs. From 2009 to 2013, up to 45 percent of dogs and cats at the shelter were euthanized. But in late 2014, when OAS became an independent city agency and Katz — formerly the director of San Francisco Animal Care and Control — was hired, it was deemed the start of a new era. By October 2015, the Express reported that the euthanasia rate had plummeted to 15 percent. Among more than two dozen sources, the Express spoke to eight current and former volunteers and staff, who were critical of OAS (several requested anonymity, since they stated that previous shelter detractors were steered toward the door). The shelter relies on approximately 200 volunteers for help with OAS’ day-to-day operations. These volunteers claim that red flags first appeared last fall, when they noticed an increasing number of empty kennels in the adoption ward. On the shelter's website, fifteen adoptable dogs were listed as of August 4, which volunteers say is a sharp drop from the several dozen that were regularly available just a year ago. Katz and four other OAS staffers interviewed for this story deny that dogs are being needlessly euthanized. They say that, while there are fewer up for adoption, this is because they are moving through the shelter’s medical and behavior evaluations more quickly, and because partner rescue groups, such as the East Bay SPCA, “are on track to pull more animals than ever before,” Katz explained. The average length of stay for dogs at the shelter has decreased from 26 days to 16, according to OAS staff veterinarian Jen Dalmasso. And some of OAS’ transfer partners, including the SPCA and Hopalong Animal Rescue, confirm that they’ve recently taken in more OAS dogs. But public records indicate that overall transfers of dogs have actually dipped slightly during the past few years, to 42.7 percent. Adoptions, at 15 percent for the first half of 2017, have likewise decreased 3 percent since 2015. The percentage of stray, quarantined, and impounded dogs subsequently returned to their owners has held relatively steady, at around 15 to 16 percent. Euthanasia is the only category that has measurably increased. A source close to OAS, speaking on the condition of anonymity, confirmed that the empty kennels are largely the result of increased euthanasia and decreased intake. The shelter took in about 6 percent fewer dogs between January and June of this year than it did during the same periods in 2015 and 2016. Euthanasia rates are far higher among pit bulls — one of the shelter’s most populous breeds, comprising about one third of its canine population. Around half of pit bulls don’t make it out of OAS alive. Katz said that they “try to place as many [pit bulls] as we possibly can, but it’s a challenge because of the stigma they face.” Some shelter volunteers, however, countered that OAS doesn’t give pit bulls a fair chance. Katz has a controversial history with the breed, having drafted legislation mandating the sterilization of all pit bulls in 2006 in San Francisco, where she was a deputy city attorney. Though Katz did not propose the legislation herself, it has not endeared her to pit bull advocates. Admittedly, OAS’ relatively low “live-release rate” — or the percentage of animals that leave the facility via adoption, transfer, or return to owner — is due at least in part to circumstances over which the agency has no control. As an open-admission municipal shelter in a city plagued by budget shortfalls, crime, and poverty, Oakland’s live-release rate will likely never be as high as that of public shelters in San Francisco or Berkeley, or of private shelters that are able to cherry pick the most adoptable animals, because no animals are turned away. 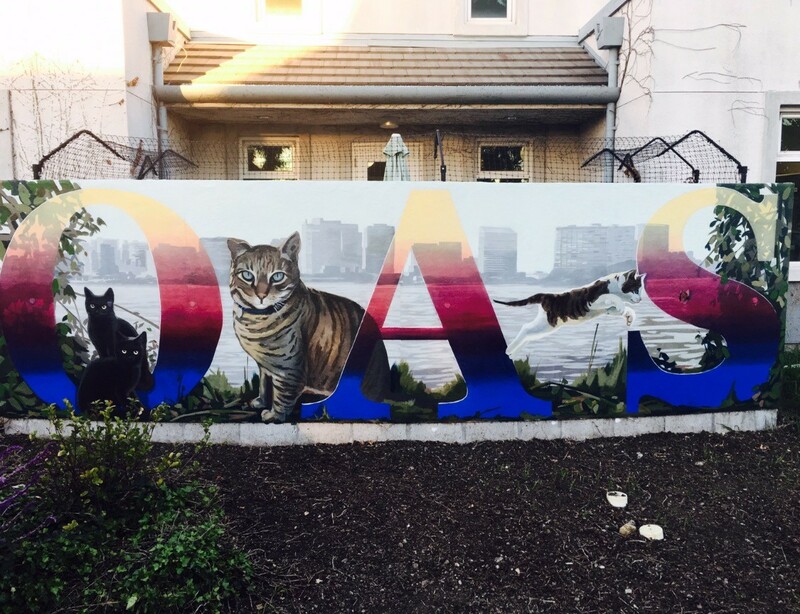 OAS’ annual budget of around $3.9 million — plus a few hundred thousand from the volunteer-run nonprofit Friends of Oakland Animal Services, or FOAS — is one of the lowest among Bay Area shelters, and is frequently cited by staff as one of its main challenges. PALS and some of the shelter's more disenchanted volunteers have also been alarmed by the fact that OAS isn't trying to improve its live-release rate. “I don’t believe in setting a percentage [goal],” explained Katz, who added that establishing a target to increase the rate potentially “means putting out dangerous animals [to the public] or turning away people in need [who are forced to surrender their pets]. “I’m not willing to do that,” she said. PALS director Nicole Perelman acknowledged that the live-release rate’s drop “may be a statistical blip.” But she criticized OAS for not striving to increase it, and also dinged the agency for not sharing detailed shelter statistics with the public. "This is a public agency. It’s funded by taxpayers and there needs to be accountability and transparency,” Perelman argued. Despite the criticism, many of OAS’ volunteers and partners maintain faith in the shelter. Ann Dunn, the president and founder of nonprofit rescue organization Cat Town, told the Express that her group has been operating longer than PALS, and has experienced “none of the issues” cited by detractors. In fact, even the most critical volunteers believe that the shelter's cat program is running well, largely due to OAS’ partnership with Cat Town. According to Dunn, Cat Town has taken about 1,650 cats from OAS during its seven years in operation. Several insiders pointed out that PALS and OAS have had a contentious relationship dating back to when the shelter was under OPD control. The conflict was temporarily resolved during the early days of Katz’s tenure, but tensions on both sides have flared up again, due to PALS’ public condemnations of OAS (including a report posted on its Facebook page on June 13) and what critics describe as OAS’ lack of responsiveness. Andrew Dorman, an OAS volunteer and FOAS board member, said that PALS critics are “out of touch with the reality” at OAS. “They haven’t been active at the shelter for about a year. [They say] we should have one large adoption event per quarter. But if they were paying attention, they would see that we already have that,” he said. Increased euthanasia rates are far from the only concerns. The December letter, which also was posted on PALS’ Facebook page on June 4, claimed that the shelter treats dogs inhumanely, employs unqualified behavior evaluators, and lacks a robust foster program. So far, neither OAS nor the city administrator’s office has responded to the letter. And “they’re not going to [receive a response],” Katz told the Express. Katz admitted that the dog-dragging accusations were true. “I would love to say it hasn’t happened, but I would be lying. It happened long before I arrived here and it has happened since I arrived, and we’re working every single day on the training of staff to say that that is not okay and that it is inhumane,” she explained. PALS has also publicly called out OAS for allegedly not using certified dog trainers or behaviorists to perform all evaluations. Incorrect evaluations can lead to adoptable dogs such as Kai being euthanized, or potentially dangerous dogs being let out into the community. Currently, OAS has one certified trainer, but she is part-time and has been on staff only a few months. The other three evaluators, two of whom are OPD animal-control officers, are not certified. PALS also says OAS’ foster program is anemic. PALS previously ran this program on a volunteer basis, but in April 2016, Perelman wrote a grant for the shelter to hire a foster coordinator, since PALS was struggling to fulfill this role. As a result, OAS’ fundraising arm, FOAS, received a $90,000 grant from PetCo. But aside from seven weeks last fall, during which a foster coordinator was hired and quickly fired, the position remained unfilled until June of this year. Katz admitted that the program ran “by the seat of our pants,” making it harder to find foster homes for animals — particularly large dogs — that were stressed by the shelter environment. Perelman said a foster program is crucial because dogs behave differently in homes than in shelters. “If a dog spends all day sitting in its kennel and barking because it’s neurotic and stressed, maybe it would be a lovely dog in a home, [but] you just won’t know that,” she said. Critics would also like more city oversight of OAS, as its community advisory committee, established during the transition away from the OPD in 2014, became inactive within a few months. One thing both sides agree on: Their commitment to the animals at OAS. One of this writer’s family members volunteered at OAS. They work with cats, and did not contribute to any of the reporting in this story. 'Homegrown Heroes: Oakland A's at 50' looks at the history of the A's, focusing on the 1989 World Series.